If the expected trends for the automotive industry continue as planned, we’re in for a major uptick and additional expansion. Things aren’t slowing down anytime soon, but the companies and workers still progress forward—posing room for new workers to find their place. Because of this, we must invest in the next generation of automotive workers through STEM education initiatives. STEM (science, technology, engineering, mathematics) seems to be the latest buzzword in all aspects of manufacturing—and for good reason. From playing with LEGOs as a child to working on cars or designing a project on the computer, there is plenty of opportunity to introduce STEM to the next generation and ensure a strong future. Major companies, such as Ford, are creating scholarships, hosting events, and bringing in warehouse tours to spark an interest in students. Manufacturing as a whole is expanding, which will only continue to grow as more innovations in aerospace, construction, and other sectors. In the automotive world, it’s no secret that we need more engineers. From our point of view, we need engineers that are experts in the subject of testing and understand more than CAD—and are able to tie it into something to create a hands-on, real-world product in addition to testing a design on paper. While simulation software has continued to get better and better over time and is necessary for reduction of concept to market, it still has problems covering every possible variable both in terms of inputs as well as real world materials and manufacturing variation. After the initial design has been completed, hands on testing with proper testing equipment is necessary to apply a variety of environmental as well as design criteria to any product. Sometimes products are damaged during shipment but this damage doesn’t show up until they are in use. Variables not anticipated can affect the life of a product and by recording actual events and feeding that information into a test apparatus, these real world events can be applied to the product. We wholly support the next generation of engineers and look forward to welcoming more talent to our Kokusai team. For more information on our company and what we do, check out our website. Driving is a big part of life in the U.S. In fact, 95 percent of American households own a car, according to state.gov, and almost 85 percent of people get to work this way. With millions of automotives on the road, there is a lot of room for error in the automotive industry—but a big step can be made to help avoid it. Whether it’s a cruise-control switch with spontaneous combustion or unintended acceleration, when recall are announced, they should be taken very seriously to avoid any danger or sudden complications with your vehicle. It seems every time there is an issue, various automotive manufacturers are all over the news and in print headlines—for good reason. Safety is of utmost importance, so if you are driving a vehicle that has an issue, get it taken care of. But how can we be proactive about these situations and even avoid a possible recall before cars even hit the sales room floor? The manufacturing process of these vehicles is substantial, and there is plenty of testing performed on equipment and various parts. We’ve previously discussed how one part of our business, three-axis vibration testing in automotive capacities, is expanding, but it’s important to note that any form of testing can be helpful in early detection of a defect. Especially if there’s a failure in the design; vibration testing with various PSD or time-based profiles can accelerate the necessary testing and put the components into real world conditions. Other types of preventative testing that Kokusai designs machines for include Torsion, Tension, Engineless Transmission, multiple axis metal distortion and several others. 3D modeling design is essential for the initial design but cannot replace accelerated testing. For more on our vibration testing, head over to our website, and if you’re looking for information about recalls, head over to recalls.gov. Our last blog brought you a recap of 2013, which was an outstanding year across the board for the automotive industry and Kokusai. We know it will be tough to top such a productive year, but we think there are five trends that will make 2014 equally as successful. While 2013 saw major car makers lay out tentative plans for their self-driving cars of the future, 2014 will see even more action. Experts now believe that there will be 54 million autonomous cars on the road by 2035. Just as 2013 ended, Ford announced the company has been developing a solar-powered hybrid car known as the C-Max Solar Energi Concept. The aim is to create a hybrid that doesn’t need to be plugged-inand doesn’t rely on traditional energy sources. Each year, consumers demand more high-tech gadgets in their cars and trucks. According to the experts at Accenture, drivers are now twice as likely to base their buying decisions on in-car technology rather than performance. Looks like it will be another year where auto sales outpace the overall economy. Edmunds.com is forecasting 16.4 million new car sales in 2014, which would be up from 2013’s 15.6 million. Big pushes for autonomous braking systems in the E.U. and backup-camera regulations in the U.S. are just two examples of a push for automotive safety. What do you expect to be big this year in the automotive industry? Let us know by commenting below or tweeting at us. In our last blog, we discussed our trip to the Automotive Testing Expo in North America, where we exhibited our “Quake” testing equipment and spoke to attendees about new machines in our facility. From chats we had with other professionals and what we’ve seen in the industry, we wanted to highlight a part of the industry we expect to boom relatively soon: three-axis testing. Typically, automotive vibration testing on a shaker takes place on a single-axis. (For more information on this process, check out our blog post on vibration testing.) It seems more companies are getting increased pressure from automotive giants to start complying with the military-standard three-axis testing on a shaker, as opposed to the traditional one axis singular route. This is big news for our business. We’ve been offering this newly preferred type of three-axis testing for years, but there weren’t strict requirements from these consumer-geared companies—only for military and aerospace industries. Many of these machines have been purchased from our headquarters in Japan where three-axis testing is required for many products including the Bullet Train. Even packaging companies have seen the benefits in Japan and have purchased entire testing labs from Kokusai LTD. We’re starting to get more feedback in the U.S. on a preference for the higher level of testing, and we believe it’s because of failures in automotive components (especially related to engine areas). Frequencies at which standard components vibrate are 200 hertz or fewer, which puts it clearly into our quake product line of shakers testing, which can easily handle frequencies 200 hertz or fewer and do three axis simultaneously. Kokusai can handle this upgrade in testing requirement, while other companies can only offer one-axis testing, and much more. We have plenty of additional information on this process and our other offerings on our website, but please feel free to reach out to us at 317-704-9922 with additional questions. The Automotive Testing Expo in North America serves as a platform for more than 260 companies to demonstrate the latest technologies and services in the automotive industry. This year, if you stop by booth 14022, you can see a live demonstration of our vibration table, and you can also hear about big changes happening with our company. For our customers, this means Kokusai can incorporate the global innovations into our shop. The new multi-story building gives us more room to work, and we’ve designated this building solely for testing equipment—which makes it a perfect topic to tie into this trade show. Keep up with what’s happening at the Automotive Testing Expo October 22-24 by following us on Twitter, and for more information on our products and expansion, head over to our website. In the last few years there’s been a major move towards more fuel efficient cars around the world. The days of driving huge gas guzzling trucks seems to be slowly dwindling, as many turn in the keys to their SUV for more compact earth-friendly vehicles. Many governments have also begun to tackle the issues of fuel economy. The United States issued mandates last year that will require automakers to double the fuel economy on new trucks and cars by 2025; this would be 54.5 miles per gallon on average. Many other countries have also created mandates to improve fuel economy, for instance cars in the European Union are supposed to get 60.6 miles per gallon by 2020. But many have asked what does a person do if they can’t afford a new car and want to be more fuel efficient? There are other steps that can be taken to improve fuel economy, such as changing the parts of a current vehicle to more fuel efficient parts. Many tires are made with a great amount of rolling resistance, causing more friction and force to overcome for a vehicle, and in turn more gas usage. An example of these parts is your tires. By switching to tires that have a lower rolling resistance a vehicle will travel further without using as much gas. 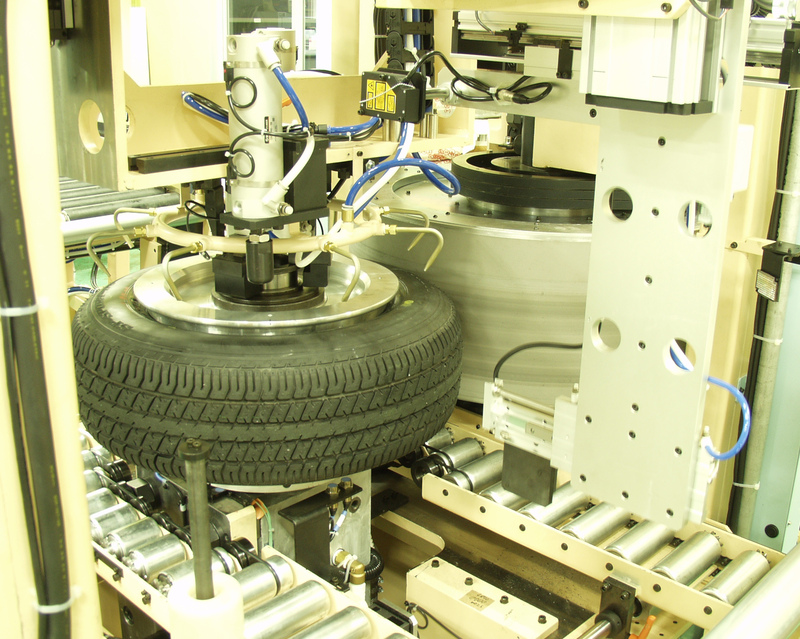 At Kokusai, our rolling resistance machines allow manufacturer to test their tire designs in many ways ensuring that each tire model is helping a vehicle achieve optimal fuel efficiency. Our other tire testing machines may test for durability and vibration, but the rolling resistance tester is specifically for this ever increasing purpose. Its innovation and rethinking that will help make the products and appliances we use every day more eco-friendly. Automakers and companies in other industries will have a very tall task in altering many of the ways they’ve created their products and operated their businesses. We have the technology and services to help! Q: What are the primary causes of ride vibration within transportation vehicles? A: There are many potential causes. Everything that rotates can cause vibration if the components are not balanced. Everything from the tire/wheel assembly to individual engine components such as crankshafts, if not properly balanced, will vibrate at differing frequencies causing different effects. The effects that imbalance has on ride quality is complicated for many reasons. Road surface issues, vehicle complexity, variances in suspensions systems, and multiple causes of ride discomfort make it difficult to generalize across a cross section of vehicles. At the most basic level, imbalance leads to vibration and this vibration leads to poor ride quality. Various resonant frequencies exist throughout the vehicles suspension and tire/wheel system. Many of these resonant frequencies can combine to create an extremely poor ride including tactile and visual vibrations, noise, and even dizziness and motion sickness. Critical speed effects can occur at varying frequencies to create effects that are perhaps as much as one or two hundred times the initial source. Evaluating the ride quality of a vehicle and in turn identifying the specific cause is a subjective event. Testing experts have a number of terms that are used to try to describe the effects of imbalance as well as many other ride quality problems. Although data exists for specific tests on specific vehicles, many of the conclusions are subjective “seat of the pants” results leaving little empirical data. Q: What causes most of the failures within automotive components? A: As in the case of the first question, there can be many causes. 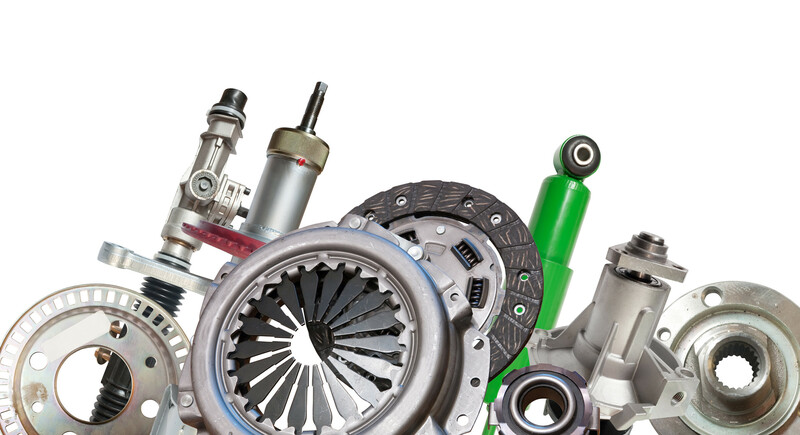 Stress, fatigue, torsion failure, can all cause failures within automotive components. Design of the part is the first thing to look at. Engineers use the best tools available to subject their individual part design to simulations. If the design is sound, the parts need to be subjected to rigorous testing under real-world conditions. We see this in all aspects of our testing equipment including torsion and tensile testers and certainly in vibration testers, such as our shakers. Some of the assumptions that are made are that all parts are manufactured within a certain balance tolerance that matches the design requirements. When parts rotate, they create centrifugal force (Fc). This is a very important concept to understand when discussing balance. When a tire is out of balance for instance, or equilibrium, the occupants only notice it when the car is moving. As the tire turns, centrifugal force is created regardless of its equilibrium status, but imbalances create uneven forces and cause the ride quality problems. Centrifugal force is also important because the only method currently in use for measuring dynamic balance is to spin the tire and measure the differences in centrifugal forces generated. It is important to note that as the mass or radius of the part in question increases, the centrifugal force increases directly and proportionally. However, as speed increases the centrifugal force increases in a squared fashion. 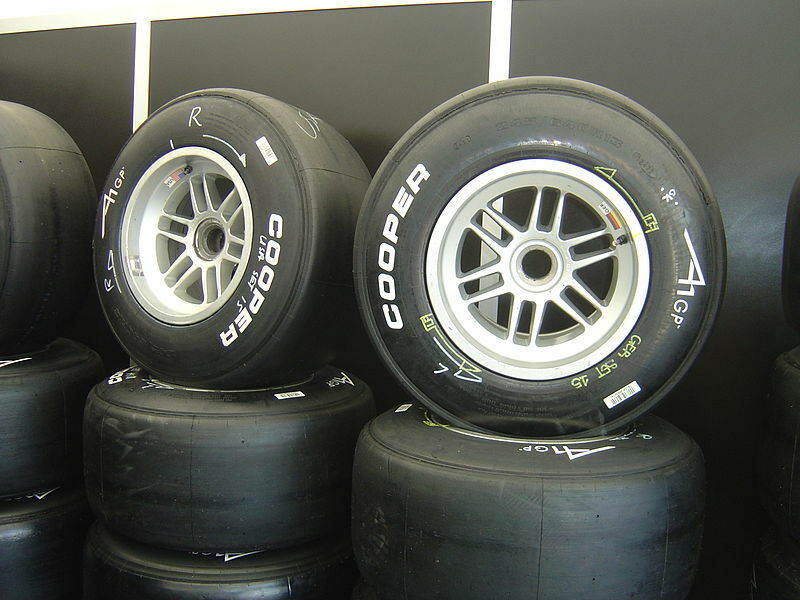 If the outside diameter of a tire were to double the increase in Fc would double. On the vehicle, if the speed increases from 15 to 30 miles per hours, the Fc would increase 4 fold and if it were to go to from 15 to 60 miles per hour, the Fc increases by a factor of 16. These forces not only transmit vibration to the rest of the vehicle whether it’s a tire/wheel assembly or a crankshaft but will also cause wear of other parts. As imbalance parts rotate, they may wear out bearings which will eventually fail and cause catastrophic failure within an engine. Q: How tight are most manufacturer’s tolerance for balance? A: Tolerances vary by manufacture and by parts. Parts that rotate very fast (e.g. crankshafts) may have tighter tolerances due to the speed effect (see last question). Very thin parts may only be checked for static balance as couple imbalance may have little effect. A typical customer for a tire wheel assembly may correct down to 7 grams static and 11 grams couple. In our hard disk balancers, because the extremely high speeds, the tolerances are down into the microgram range. The proper balancing machine that can both measure accurately and repeatably is essential prior to the correction process. The correction process is the other half of the equation and can contain many methods of weight addition (by hand, welding, epoxy) or by weight removal (drilling, milling). For tire and wheel assemblies, cut to length weights automatically applied by a robot offer the best solution to balance an assembly down to theoretical zero. The AutoW8T® designed by Esys Corporation with Kokusai, Inc. has this capability. 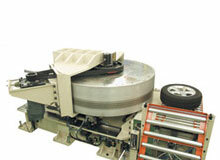 Bead Seating, Uniformity, and Balancing Machines – All From One Place! If you’re in the automotive industry, you know how important tire and wheel balancing is to anyone who wants their vehicle to ride smoothly – and you also realize that bead seating and uniformity play important roles in smooth rides, too! 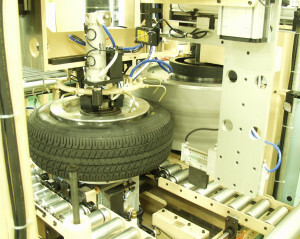 Lately, we’ve been seeing more auto plants adding tire bead seating and uniformity equipment and capabilities to their wheel rooms. Like other businesses, auto companies are responding to increased customer demands for a smooth ride by adding these capabilities into their balancing line. The balancing business has always been there, and will continue to be there. 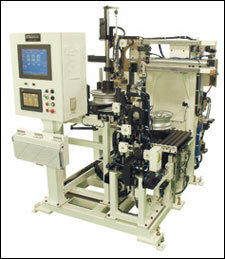 But adding uniformity and bead seating equipment to the production line is a smart move right now. Keep in mind that eliminating vibrations that can destroy a smooth ride is literally a balancing act: Bead seating, uniformity and balancing all must be in line and in synch with each other for positive end results. This “balancing act” applies to the tires and wheels for all types of vehicles – cars, trucks, motorcycles, farm equipment that’s driven, etc. Bead seating machines are needed to make sure tire and wheel assemblies are mounted properly and that the bead for each tire is set properly for ideal balance and force variation. Without proper bead seating, incorrect balance and uniformity values will be measured during the bead seating process. Then later, when a vehicle’s bead is finally set while the vehicle is driving, balance and uniformity values change and this results in unnecessary and uneven wear on a vehicle’s tires, and, ultimately, it causes unwanted vibrations. For proper setting and accurate measurement, bead seating, uniformity and balancing equipment are all important. When you’re looking for this type of equipment, make sure it offers flexibility and can handle a variety of wheel sizes and can adjust automatically for changeovers. Ideally, you want equipment that can accommodate wheel sizes from 13” to 24”, ODs up to 36”, and wheel widths up to 14”. It’s also a good idea to get your equipment – all three pieces – from one supplier so that they’re in line with each other. Presently, there aren’t many suppliers that offer all three types of equipment: bead seating, uniformity and balancing equipment.